Discussion in 'Minor League Forums' started by Cuzittt, Aug 16, 2018. Sea Dogs rain on the Thunder again, 3-2. Dan McGrath went six innings and was dinged for one run on three hits, two walks, and a wild pitch; striking out a quartet. Harrison Cooney was charged with one run on two walks and a Jhalan Jackson jack in his two frames; whiffing one. Adam Lau pitched a 1-2-3 ninth on six pitches. Danny Mars managed a single, a double, and two stolen bases in four matchups. Luke Tendler and Michael Chavis each contributed a single and two walks in four trips. Deiner Lopez laced a single and earned a free pass in three dances before giving way to Johnny Bladel who struck out in his one up. Chad De La Guerra golfed a tater in four contests. Jeremy Rivera ripped a single in five jaunts. Bobby Dalbec and Austin Rei each received a base on balls in four appearances. Jordan Betts was bopped by a pitch in four battles. GCL Sox slip by the Rays, 3-2. Austin Maddox gave up three singles and struck out one in the first inning; his first appearance on the mound since June. Mark Montgomery allowed one run on a hit and a walk in the second, his first Red Sox appearance (and his first time on the mound since May); whiffing one. Rayniel Adames relinquished an unearned run on four hits, three walks, and a wild pitch over 3 2/3 frames; punching out one. Robbie Baker walked one and uncorked a wild pitch in 2 1/3 innings; striking out a trio. Luis Rivero struck out one in the ninth. Juan Carlos Abreu and Jecorrah Arnold each hit a pair of singles in four appearances. Keibert Petit procured a single and a walk in four treks. Brandon Howlett hit a double and was hit by a pitch in four battles. Esteban Quiroz, Caleb Ramsey, and Bramdon Perez each hit a single in four quests. Ricardo Cubillan contributed a base on balls, a stolen base, and a sacrifice bunt in four contests. Jonathan Diaz was unable to reach in four junky jaunts. DSL1 fall to the A's, 5-3. Jesus Rosillo relinquished three runs (two earned) on two hits, three walks, and a wild pitch over three frames; whiffing a trio. Carlos Cortes was charged with two runs on three hits and two walks over three innings; punching out three. Armando Acosta gave up a hit and hit a batter over two frames. Leonel Jimenez laced three singles in four jaunts. Fabian Andrade and Gilberto Jimenez each garnered two hits in four forays; Andrade with a double and a caught stealing. Wilker Vargas dropped a single and a sacrifice bunt in four ventures. Carlos Sanchez slapped a single and a sacrifice fly and drew a walk in four sessions; he too was caught stealing. Breiner Licona blooped a single and was bopped by a pitch in four battles. Lewis Baez walked once in four appearances. Ruben Hernandez was unable to reach in three useless ups. Denny Daza was dazed in four detestable dances. DSL2 score the final nine runs, punch the Pirates 10-8. Bryan Lucas let in an unearned run on two hits, two walks, and a wild pitch over three frames and three batters; whiffing a trio. Robinson Parra relinquished seven runs on six hits, four walks, and a wild pitch over four innings; punching out a quartet. Gregori Segovia surrendered two walks and struck out four in two frames. Kleiber Rodriguez rocketed two singles and a double while swiping a bag and drawing a walk in five treks. Gregori Custodio garnered two singles, two walks, and a stolen base in five contests. Luis Hernandez hit a single, a double, and a sacrifice fly while earning a free pass in five appearances. Nelfy Abreu notched two singles and a walk in five matchups. Yulis Hernandez took two bases on balls and hit a single in five trips. Gabriel Perez procured a single, a walk, and a stolen base in five forays. Gabriel Quintero slugged a triple and a sacrifice fly in five quests. Ronaldo Pulgar and Andres Gari each garnered a single in five attempts. 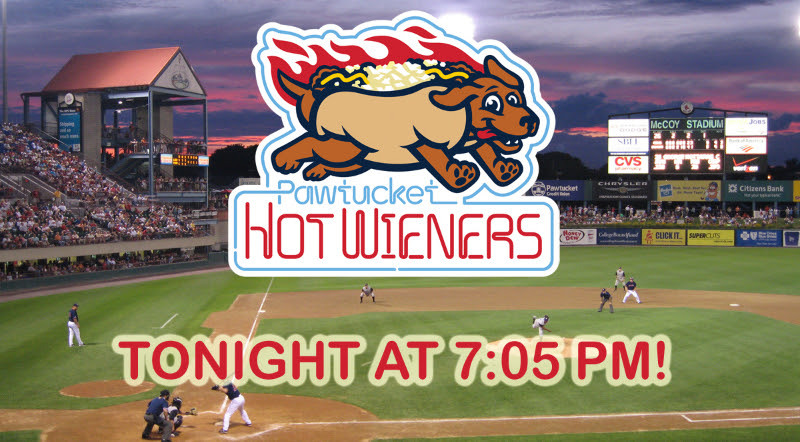 Hot Weiners crush the Bulls, 8-2. Josh Dwayne Smith surrendered one run on two hits, two walks, two hit by pitches, and a wild pitch over seven innings; punching out a quintet. Brandon Workman whiffed a pair in a 1-2-3 eighth. Trevor Kelley was knocked for one run on a solo longball from Nathaniel Lowe as well as a single and a walk in the ninth; striking out one. Rusney Castillo and Brandon Phillips each procured three singles in four at-bats. Sam Travis and Ivan De Jesus each slammed two hits in four sessions; De Jesus with a grand slam in the first. Oscar Hernandez hit a double in four opportunities. Tony Renda ripped a single in five trips. Josh Ockimey obtained two bases on balls in four jaunts. Cole Sturgeon suffered four subpar sessions. Tzu-Wei Lin had a quintet of terrible treks. Salem decipher the Keys, 7-2. Denyi Reyes relinquished two runs on four hits over seven frames; punching out six. Joan Martinez yielded a hit and two walks over the final two innings; striking out a pair. C.J. Chatham and Josh Tobias each thumped two singles in four contests. Tyler Hill and Brett Netzer each notched two hits in five trips; Netzer with a pair of doubles; Hill was caught stealing. Michael Osinski obtained a single and a walk in four opportunities. Jake Romanski, Victor Acosta, and Ryan Scott each secured one hit in four ventures; Romanski and Acosta with doubles. Jerry Downs ended up down in the dumps after four junky jaunts. Drive stave off the Grasshoppers, 4-2. Enmanuel De Jesus yielded two runs on five hits and two walks over seven frames; striking out ten. Marcos Lantigua allowed one hit and one walk in the final two innings; whiffing one. Pedro Castellanos collected two singles in four contests. Marino Campana and Everlouis Lozada each laced a single and drew a walk in four excursions. Jarren Duran, Ryan Fitzgerald, and Zach Sterry each stoked one hit in four jaunts; Sterry with a two-run dinger. Kervin Suarez and Tanner Nishioka each notched one base on balls in four sessions. Samuel Miranda had a trio of mistimed matchups. Lowell lambasted by Aberdeen, 13-1. Thad Ward was whipped for six runs on seven hits and a walk over 1 2/3 innings; striking out a trio. Hunter Haworth was hit for three runs on three hits, a walk, and a pair of wild pitches over 2 1/3 frames; whiffing a pair. Alex Demchak – signed from the Sussex County Minors of the CanAm League two days ago – gave up one hit and punched out two in his first inning with Lowell. Kevin Biondic was blasted for four runs on four hits – including an Anthony Santander homer – and two walks over two innings; striking out one and uncorking a wild pitch. Kris Jackson gave up a hit and punched out one in the eighth. Korby Batesole knocked a double and a triple in four at-bats. Dylan Hardy hit a single and stole a base in three dances before giving way to Ramfis Berroa who popped out in the ninth. Tyler Dearden, Devlin Granberg, Lane Milligan, Andre Colon, and Trey Ganns each garnered one hit in four trips; Granberg with a double. Jonathan Ortega obtained one single in five jaunts. Tyler Esplin walked once in four excursions.